Yesterday, our pals at Dirty Tackle decided to highlight a Copa Sudamericana match in which a dog invaded the pitch and held up play for 3 minutes. The suggestion that this dog might have been “the most successful pitch invader ever” falls flat, however, when you consider this rather famous moment from the International Rules series in which an Irish corgi not only got loose on the pitch, but joined in the game. At one point, he even got the ball away from an Australian player — something the Irish were struggling mightily with at the time. 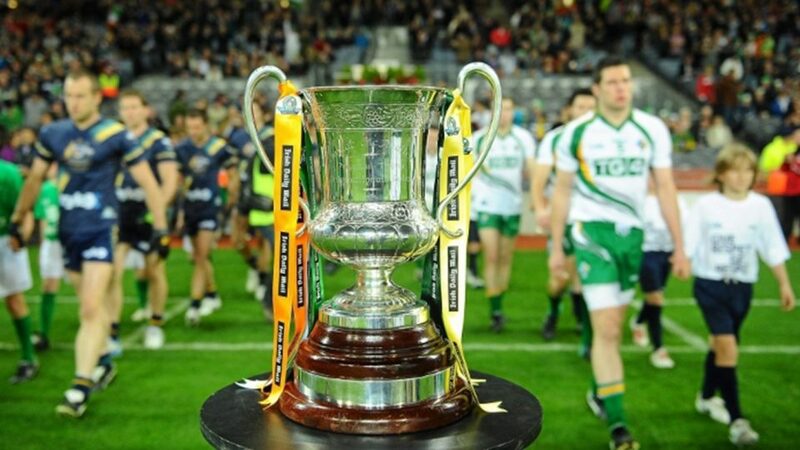 Speaking of International Rules, the 2011 series kicks off this weekend in Melbourne. Sadly, it won’t air anywhere in the U.S. — show of hands: who misses Setanta Sports right about now? — but keep an eye on this guy’s YouTube channel, which still has last year’s International Rules series matches, not to mention this year’s All Ireland Football Final. I’ve been told that match was entertaining. Might have to watch it later.